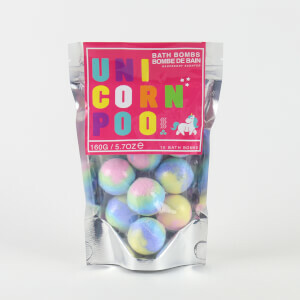 Our very own mythical steeds have laid some naughty number twos for you, so with a few puffs of glitter we present to you the exclusive to IWOOT Unicorn Poop Bon Bons! Plop one in your mouth and embrace those sweet, sweet flavours of Bubblegum and Lemony droppings. Who knew you'd love eating a jar of magical s...tools so much? Bought for my daughter for Christmas so hoping they taste as nice as the others!